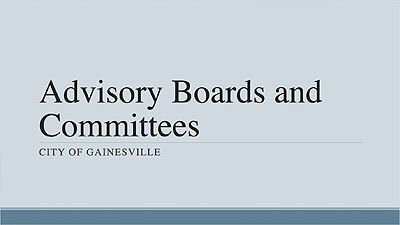 In our March meeting, Vice-Chair Tatiana Grower gave a presentation on the various advisory boards that exist at the City of Gainesville and Alachua County levels. Advisory boards are made up of appointed (not elected) members of the community that have interest or experience in the topic of their board. Some advisory boards have decision making capabilities and budgets making them a great way to enter local government without running for election.